Which way did the CFU swing? 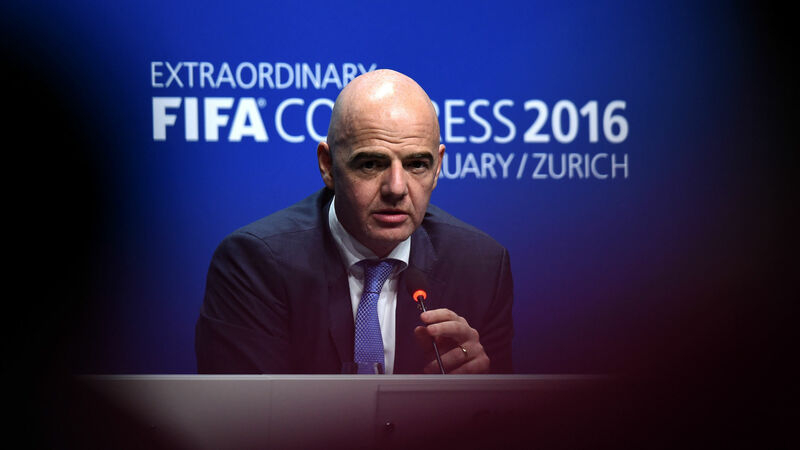 First and foremost, before we get stuck into the potential effects of Infantino’s manifesto, it might be of interest to outline his position with the CFU. Before the election, the majority of Caribbean members reportedly pledged their support for Sheikh Salman, with only Trinidad & Tobago, Grenada and Barbados publicly expressing their confidence in Infantino to become the next President. German journalist Markus Harm reported that in the first round of voting, 23 MAs from the Caribbean voted for Sheikh Salman, bearing in mind that there’s 25 Caribbean MAs in FIFA and 35 MAs altogether in CONCACAF. It can only be presumed that some MAs changed their tactic beforehand if what Harm reported is credible. For the second round, there must have been a considerable shift in voting strategy, as fellow candidate Prince Ali reportedly told delegates to support Infantino and not Sheikh Salman. Whatever happened, Infantino did enough to claim victory. He, along with the four other candidates, attended the CFU General Meeting held in Antigua & Barbuda prior to the election. There they networked and pitched to officials from various MAs, putting their case forward and looking to make the right impression. Sheikh Salman must have come out of that the best if the CFU’s voting pattern in the election is legitimate. Food for thought. It’s worth pointing out, as well, that the CFU didn’t vote as a bloc, like in times gone by. Under former boss Jack Warner, the federation had voted as a collective unit but this time each member voted independently. One of the promises that Infantino has made is to cover travel expenses for poorer nations – mainly in the developing world – so that they can visit more places and play more matches. This will be very beneficial for many Caribbean countries whose FAs struggle financially – after all, travelling in the region can be expensive. The Surinamese FA Vice-President, Dayansankar Mathoera, tells dwtonline.com that “Infantino has promised to cover our travel costs for the next three years.” If the money is allocated and spent appropriately then, sure, it’s a great initiative and should lead to more friendlies being played between islands, as well as helping smaller, less wealthy countries with transport to various tournaments. FIFA have certainly got the money to follow up on the promise and it would mean FAs could invest a greater amount of cash on other areas, such as player recruitment or grassroots facilities. A controversial proposal, but one that in theory could have a really positive effect on the overall growth of Caribbean football. Infantino wants to more than double development grants to all 209 MAs within FIFA to $5 million over the next four years. He intends to use the money generated from staging the World Cup and share it around, giving more to those who need it. Thing is, there’s some understandable skepticism surrounding this proposal because of the heavy corruption which is so closely linked to the organization. When Blatter was running for the presidency, he also promised to give developing, third-world countries more money for development projects, but that money often went missing or was used inappropriately. There’s a feeling among some that by offering increased amounts of money, you are only fueling the corruption. Ultimately, is giving more money to MAs to develop their football a good idea? Yes, it’s a good idea. The key here is that it’s spent purposefully on the development of football. And not on anything else. Infantino has said this himself, several times, but the effectiveness of his initiative can’t truly be judged until further into his term. Infantino’s plans to expand the World Cup from 32 to 40 teams and have ten groups of four instead of eight have been well-documented. At the moment, CONCACAF has 3.5 spots for the tournament. The top three teams in the ‘Hex’ automatically qualify and the fourth-placed side enters into a intercontinental play-off with Asia’s or Oceania’s equivalent. The 2016 FIFA Reform Committee Report states that it would like to increase the number of spots available from 3.5 to 5. Would this be beneficial for the Caribbean? Too right it would. Teams on the periphery of qualification like Jamaica, Trinidad & Tobago and Haiti would stand a significantly better chance of advancing to the finals. USA and Mexico are foregone conclusions, perhaps the same could be said for Costa Rica and Honduras. Panama, Canada and Guatemala are legitimate contenders. But are they better than Jamaica, Trinidad & Tobago and Haiti, for example? There’s not a very big difference at all. I think opening up the number of slots available to CONCACAF would definitely encourage competition and most likely lead to higher Caribbean representation at the World Cup, which can only be a good thing. It would spark a psychological boost – coaches, players and fans would begin to believe that little bit more. Teams from the Caribbean can still qualify through the current system – as has been evidenced – but the introduction of more spots would absolutely help, psychologically as much as anything else. The 45-year-old wants to help establish a Caribbean Professional League, something which has been discussed about for some time now, by 2020. CFU chief, Gordon Derrick, is keen to reintroduce a league of this type which lasted from 1992 to 1995 before collapsing due to financial difficulties. If it is going to happen, then he will inevitably be involved in discussions with Infantino about the structure, organisation and practicalities. Personally, I’m all for it. There has been plenty of talk but little proper action as of yet. Hopefully Infantino and FIFA can provide the financial and emotional assistance needed to get the ball rolling. Below are some of Derrick’s thoughts.